Founded in the year 2012 at Pankha Road (New Delhi), Telemaker are bestowed in Manufacturing, Exporting, Supplying, Distributing, Trading and Service Providing of an impeccable gamut of Mobile Signal Booster, Mobile Signal Jammer, RF Connector, RF Cable, RF Cable Assemblies, Antenna Products, Microwave Components, Optical Products, BTS and IBS Materials, Solar Connector, CCTV Products, Digital Video Recorder. Our offered products are renowned in the market for flexibility, easy installation, precise dimension, low maintenance, high performance and superior conductivity. Besides this, these products are highly needed for, high tensile strength, good capacitance, temperature resistance, abrasion resistance and ability to withstand harsh conditions. 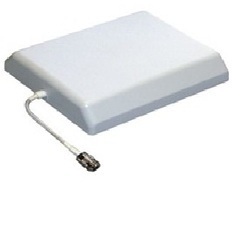 Under the above mentioned categories we offer Mobile Phone Signal GPS Wifi, Mini Cell Phone Signal Jammer, DIN Male Connector, RF Super Flexible Cable, Female BH Cable, Magnetic Mount Antenna, 2W Attenuator, SC/UPC-SC/UPC Patch Cord,Sm,Sx,3m, 1 Way Feeder Clamp For Half Cable and Single Band Repeater Booster. Complete spectrum we offer is developed and designed at our well-furnished production unit by making use of finest-grade raw material under the stern command of knowledgeable personnel. Pioneering machines and modish tools are used in construction of this optimal-quality collection in order to meet the universal quality standards. Our offered products are reviewed on different constraints to certify that we are delivering only flaw-free variety to the patrons. We are offering installation Service, Maintenance and after Sale service provide to our Customer.